A Self-Paced Tutorial Audio + written "Sillybus"
Learn to use the "super-power" of levity to uplift the world! Five powerful lessons and practices, the complete digital Wake Up Laughing course PLUS a 60-minute coaching call with Steve ... all for $99. You'll laugh while you learn, and learn while you laugh! E-book. It’s less than a latte, and offers a cosmic comic pick-me-up This book will help you wake up laughing and leave laughter in your wake. You’ll learn how to use cosmic comedy and healing laughter, and you’ll have plenty of laughs along the way. E=book for download to your computer. Swami for Precedent -- although written in 2004, the political humor is still fresh, pertinent and ... impertinent. If you think politics is no laughing matter this book will change your mind. Buy a case of books -- 40 -- and distribute them to those who could use a good laugh. The laugh you save may be your own. $125 includes media mail shipping and handling. Now in paperback. In the midst of the current worldwide crises comes a hopeful new story of our evolutionary future, a book Deepak Chopra has called "world changing." Learn to use the "super-power" of levity to uplift the world! Five powerful lessons and practices, two conference calls, a private Facebook group AND the complete digital Wake Up Laughing course (a $99 value) ... all for $39. You'll laugh while you learn, and learn while you laugh! Swami’s wacky yet wise plan to inaugurate a “precedent” more powerful than any President. AVAILABLE FOR A LIMITED TIME! Swami's four classic CDs, Don't Squeeze the Shaman, Beyondananda and Beyond, Drive Your Karma Curb Your Dogma and Supreme Court Jester, a $72 value now available for jest $39 while supplies last. Also includes a free download of Swami's recent live performance in Santa Cruz ($10 value). $39 includes US shipping. Help the Humorless Special -- 5 Swami for Precedent books for $29 includes US shipping. Ridiculously crazy price for a ridiculously crazy time. A $75 value for $29 to help cheer up your mates, create political climate change and establish HEARTLAND security. The laugh you save may be your own! OFFER GOOD only until AUGUST 9th $29 includes US shipping. Your opportunity to support Steve's blog, Notes From the Trail -- an independent source of spiritual and political wisdom and perspective. Swami Beyondananda puts on his Supreme Court Jester hat, and serves up more than 120 new words, phrases and deft definitions to help bring down the Irony Curtain and move the upwising forward. Digital PDF for download to your computer. Just $5. If you're thinking of getting a group together to read and discuss Spontaneous Evolution, you can order books in quantity. Get six books for $90 ($126 value). Price includes U.S. shipping, AND we will send you a PDF file of our brand new 17-page study guide, plus three related bonus articles. $90 includes U.S. shipping (International shipping is extra). Swami's wacky and yet wise plan to create a new 'precedent' so a new President will follow. The perfect book to hand to friends who agree with you on politics, and friends who don't. Special includes 5 books -- a $95 value -- for jest $39 (includes US shipping). Wake Up Laughing and Leave Laughter in Your Wake: A Self-Paced Tutorial for Non-Comedians (and Comedians Too). $139.00 -- $99 For Weekly Subscribers! A total immersion in humor and laughter -- at your own pace. The course consists of six 75-minute audio tutorial sessions: Six 45-minute interviews with awakened funny people, and funny awakened people: Plus An 85-page “Sillybus” to provide content and context for your total immersion in healing laughter and humor that awakens. Contains numerous hyperlinks to videos, research, and other source material. You’ll laugh while you learn and learn while you laugh. $139.00 / $99 For Weekly subscribers. 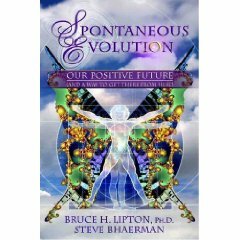 Want to explore Spontaneous Evolution in depth with friends and associates? We have made it easier with a new 17-page Study Guide. Includes key quotes from each chapter, plus clarifying, conversation-provoking questions. You can download the PDF for just $5. Get paperback version of the book Deepak Chopra called "world-changing" plus the 5 CD Spontaneous Evolution audio set, a $60 value for just $49 ... includes US shipping! 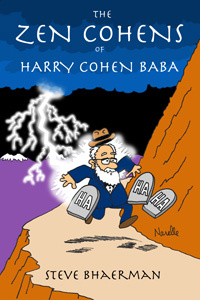 Subscribe now for 2011 and get three FREE gifts: The Zen Cohens of Harry Cohen Baba e-book; Swami Beyondananda's political dictionary now updated; the Swami CD digital version of your choice. In your name or someone else's name as a gift. A pdf will be sent to you via email. To offset the cost of shipping to Canada, please click here. Thank you. To offset the extra cost of shipping outside U.S., please click here. Thank you.